The condition of fixed equipment on many of our classic routes has reached a terrible state. On some routes the corroded or damaged bolts are over 20 years old. Some climbs are now unclimbable in the manner that the first ascentionist intended. So what are we doing about it? Provided good quality bolts for donation to local Bolt Funds in England & Wales. Published guidance documents for climbers and bolt activists. Run knowledge-sharing workshops for bolt activists. Begun long-term testing of bolt systems for safety, longevity and sustainability. BMC bolts are to be used for re-equiping existing sport routes only. BMC bolts are not to be used for retrobolting existing trad routes. Proposals are vetted by the local area, access reps and our Bolt Panel. Bolters agree to follow good practice as outlined in our guidance documents. Read the latest news on Bolt Donations here. A Users guide and an Installers guide have been published by the Bolts Working Group. Find out more here. 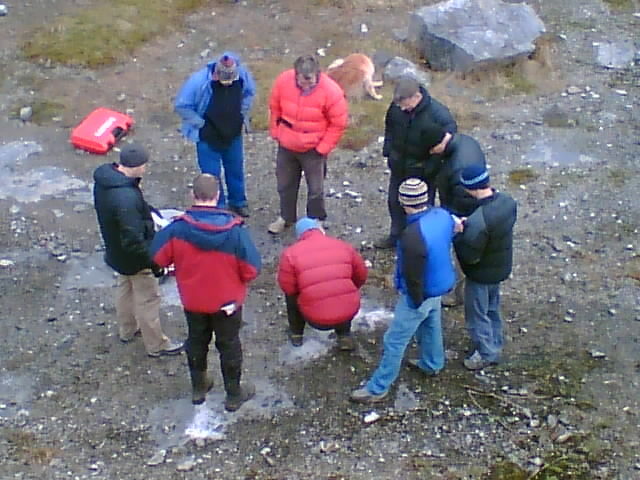 A workshop for bolts activists was run in early 2008 at Horseshoe Quarry, followed by events in Cumbria and South Wales. Further events will be run in the future if they are requested at area meetings. More about workshops here. 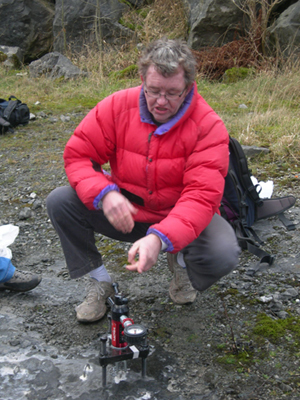 A research testbed has been set up at Horseshoe Quarry. Several bolt types have been installed for long term tests, looking at safety, longevity, and ease of removal at the end of their lifetime. More about research here. The DAV (German Alpine Club) have issued a safety alert for lower-off units from manufacturer Fixe, some of which have been reported to fail by cracking of one of the chain links. These units are primarily designed for use at indoor walls, but are also sometimes installed outside with the hangers mounted onto expansion bolts to provide an outdoor lower-off. Our bolts advice guides come in two parts. Part one is aimed at the user, in particular those who have learnt to climb indoors and are making the transition outside. Part two is an essential guide to good practice for people placing bolts, covering all of the important issues which must be addressed in order to do this competently and with the correct equipment. As a sport climber do you assume that all bolts are bomb-proof? Well, maybe it's time to think again. The UIAA have issued a warning through the Safety Commission, which is an important read for anyone who sport climbs or equips bolted routes, especially in warm coastal climates.